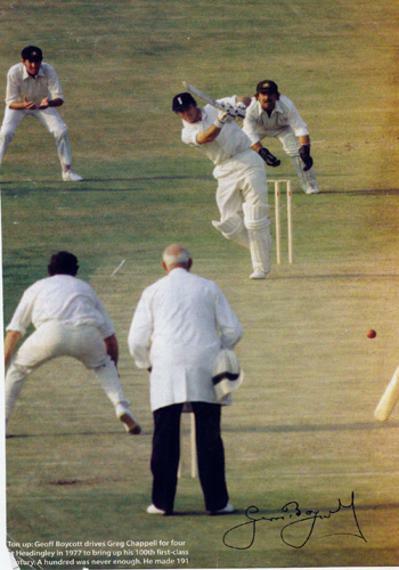 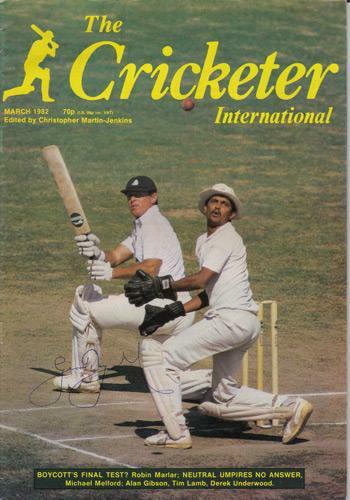 Signed magazine colour pic of the shot that brought him his 100th First Class Century in the Ashes Test against Australia. 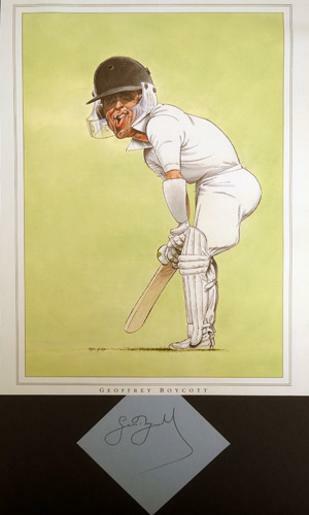 Signed B&W pic of Boycott walking out to bat (with Graham Gooch at Trent Bridge) celebrating his 100th cap for England - in the Ashes Test against Australia. 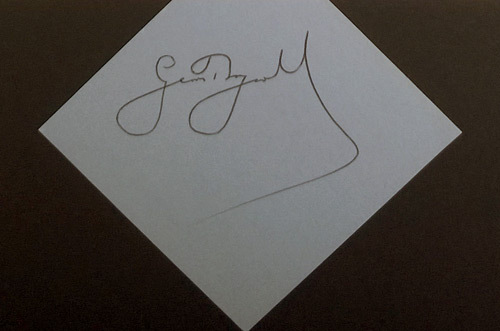 Autographed John Ireland caricature book plate. 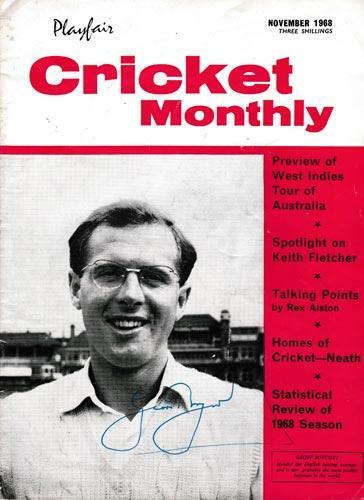 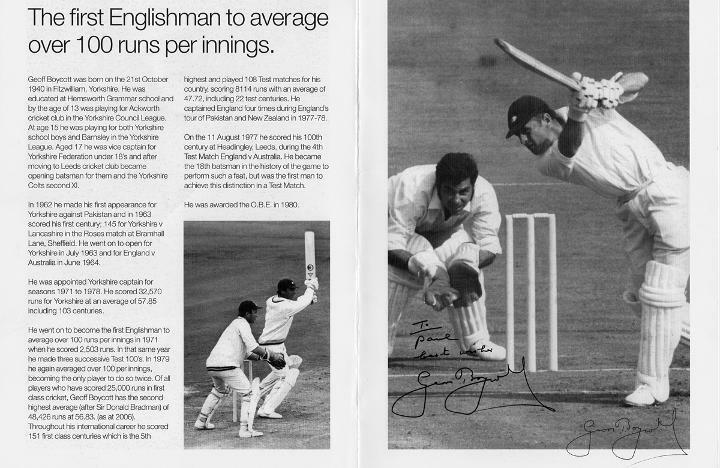 signed commemorative brochure celebrating his 100 run average season in 1971. 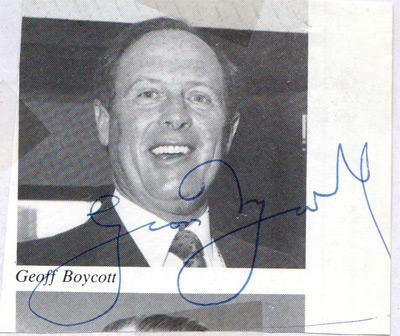 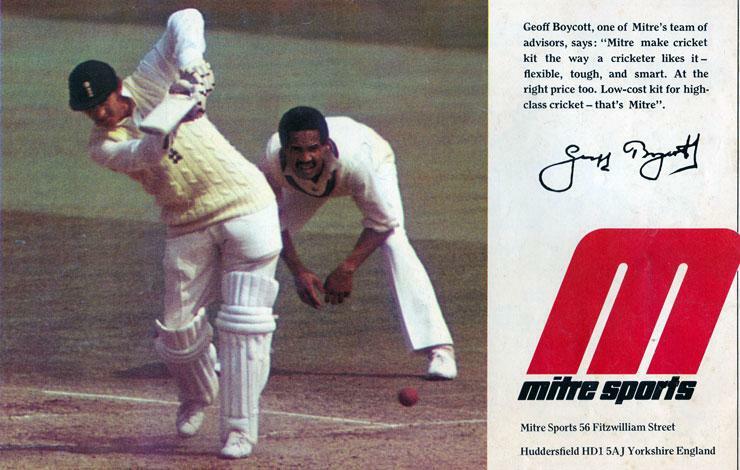 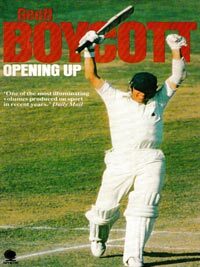 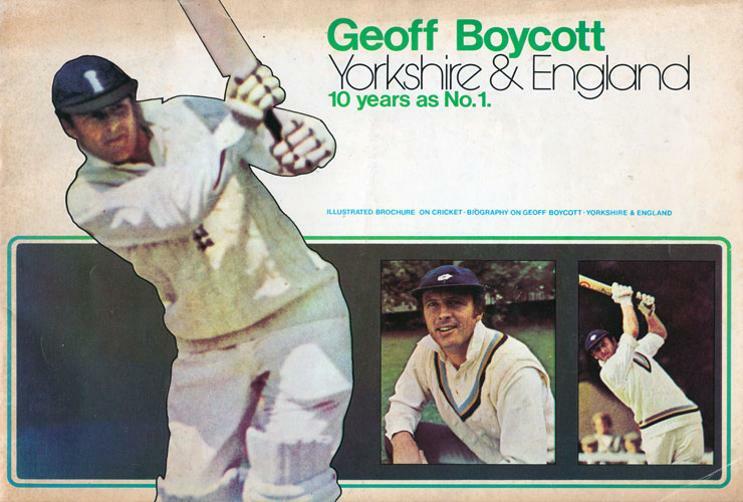 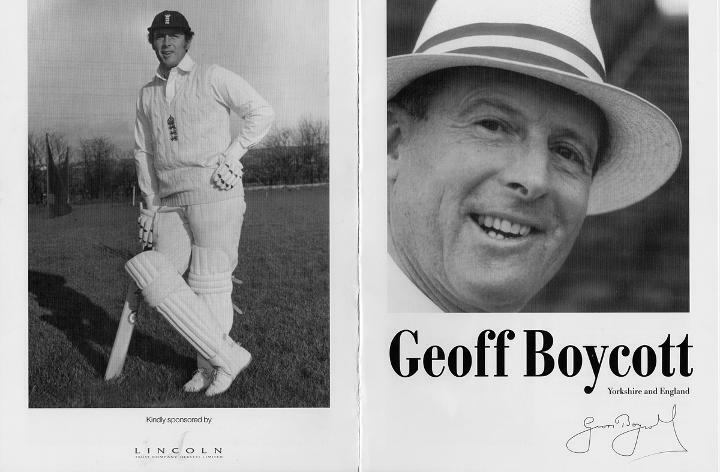 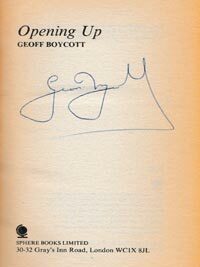 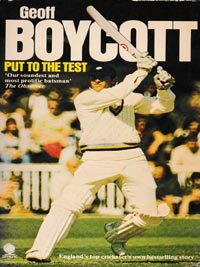 Lavishly illustrated look back at Boycott's illustrious career - Front & Back (with facsimile autograph) covers shown. 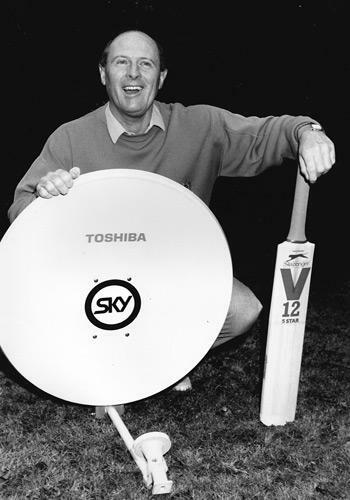 Sky Sports cricket promo photo. 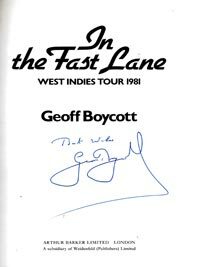 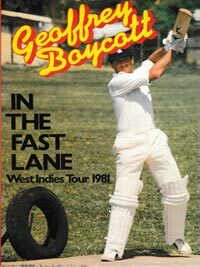 Signed book "In the Fast Lane - West Indies Tour 1981". 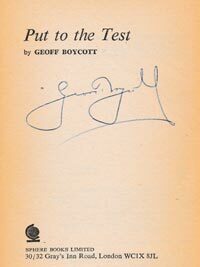 Signed book "Put To the Test". 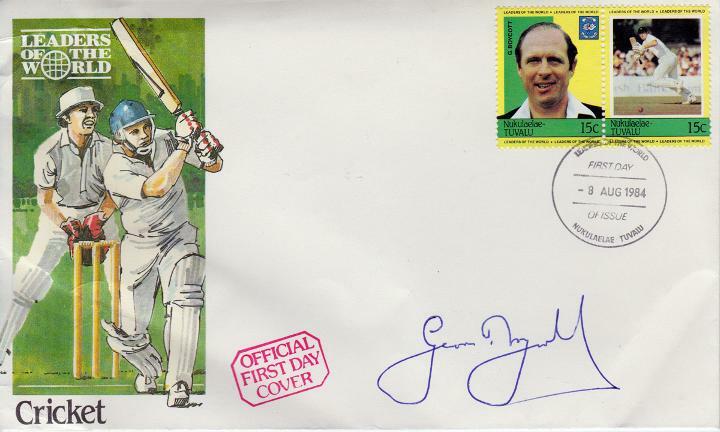 signed Tuvalu Cricket First Day Cover with Two dedicated Geoff Boycott 15c stamps.